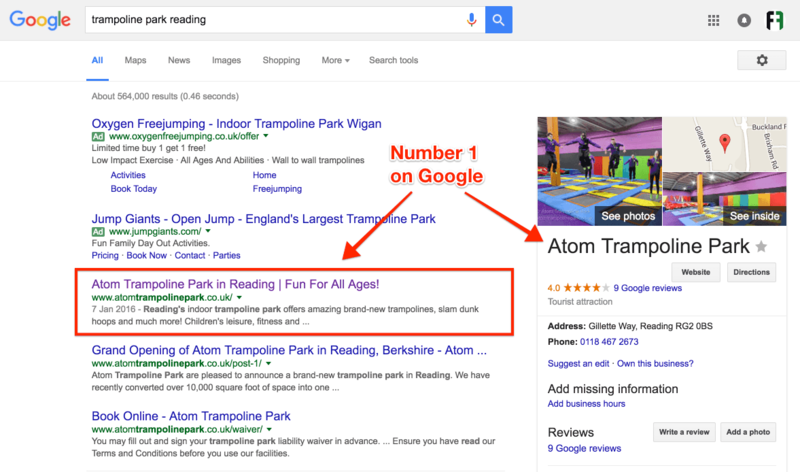 Task: After building an awesome new website for Atom Trampoline Park in Reading, we provided a three month SEO boost to kick-start their business venture. One of the core elements of this campaign was conversion optimisation to help drive traffic through a sales funnel. The results and feedback were astounding, with high volumes of traffic that has exceeded 10,000 visitors a month. Atom Trampoline Park is based in Reading with Head Offices in Leigh.